John Shapiro was first introduced to a Which Wich Superior Sandwiches shop when he was on a hockey trip with his son in Detroit a few years ago. At that time, Which Wich wasn’t that well-known in the Chicago suburbs where John and his wife, Julie lived. 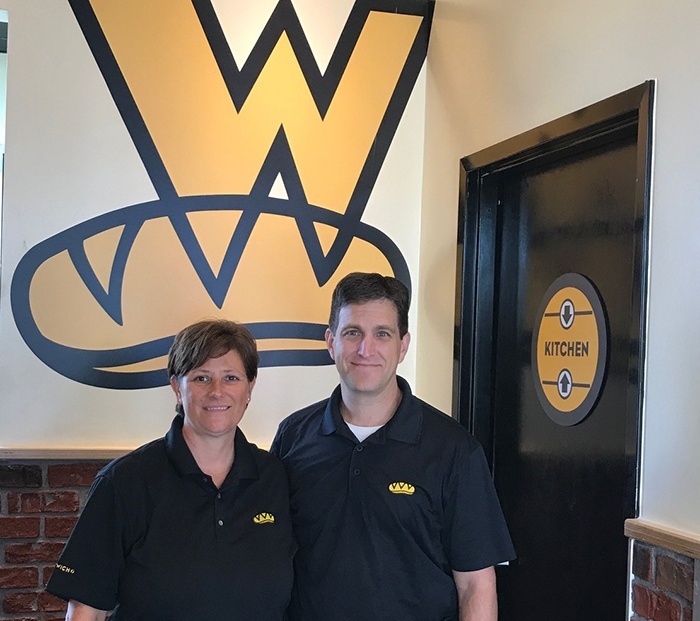 The Shapiros met with Which Wich franchise personnel in Dallas, Texas, shortly thereafter and were introduced to Stearns Bank for financing their dream business. Having never gone through an SBA loan process before, the Shapiros were grateful to have lender Katie Bobb helping them out along the way. The Shapiros utilized Stearns Bank’s customer portal to easily upload documents to make the process more streamlined. The Shapiros’ dream is to open at least three stores in the future. They are hoping that a healthy sandwich option is something more and more people will choose. “We have a lot of different healthy choices. We have different choices of proteins, toppings and sauces. I know a lot of people like our selections and choices. We’re excited about our future here,” John said.